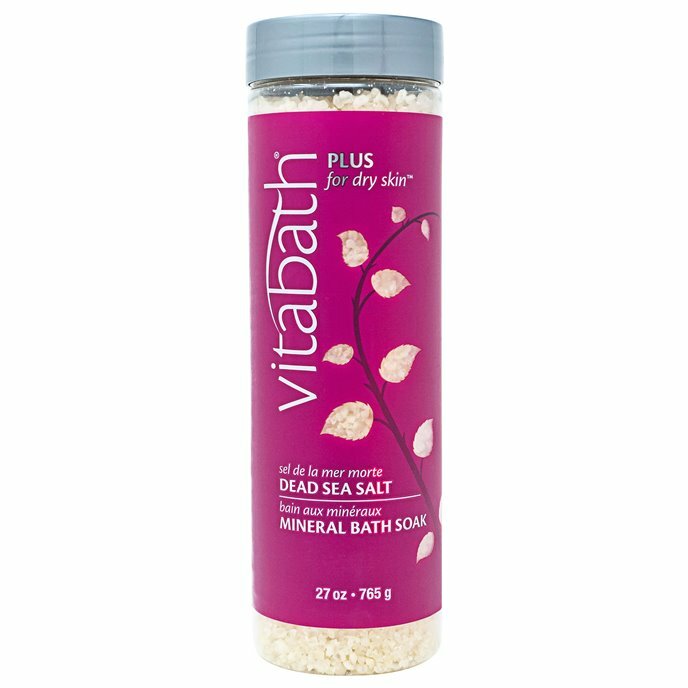 Vitabath Plus for Dry Skin Dead Sea Salt Mineral Bath Soak lets you relax away stresses while relieving tight muscles naturally with a special blend of Dead Sea Salts, Vitamins A, C, & E, and moisturizing grapeseed oil. Add to warm bath water and enjoy your soak with the soothing fragrance of rich jasmine, fresh violet, and soft white musk. 27oz (756g).